Hooray, you’re engaged! Congratulations! This is a special time in your life, so be sure to enjoy every moment. Now, if you’re anything like most couples, wedding planning begins right after the proposal. Choosing a location is typically the first major decision. Maybe you’ve looked into several venues already, or perhaps you simply want something less extravagant and more intimate. If you are the latter, you’re probably toying with the idea of having your wedding at a private residence, either your own or that of a friend or family member. If you’re having more than 10 or 12 guests and you don’t already have chairs, tables, linens, plates, flatware, stemware, a tent, etc., to accommodate your guest count, you’ll need to rent those necessary supplies. There are all kinds of rental companies around the world, so you should be able to find what you need with a simple online search for wedding rentals in your area. This is an item people often forget to consider with private residence weddings. Is there enough parking for your guests? If you’re thinking about utilizing street parking, be sure to check with neighbors to see if they’re okay with giving up their street parking for a day. Most of the time, neighbors will be more than happy to help, as long as you ask with them ahead of time. If it turns out there’s not enough parking, consider having guests park in a public lot and shuttle them in. One item I didn’t contemplate before my wedding was event insurance. Some homeowners insurance policies cover events, but since we weren’t the owners of the residence where we married, we purchased our own. Some organizations or corporations, such as the city, may require you to have event insurance before they provide you a permit, if one is required by that city. Some event companies will even require proof of insurance before they will work with you. Despite all of the requirements, purchasing event insurance will give you the extra peace of mind you will need on such a big day. That’s right—do you have enough bathrooms available for guests? Typically, recommendations are one toilet per every 10 guests. So if you have 40 guests coming to your wedding, you should have four toilets available. We had 80 guests at our wedding, so we allocated four bathrooms inside the house and rented four additional portable toilets for outside. For me, this was the most difficult obstacle to tackle for my wedding. I wanted our wedding party to last into the wee hours of the night. Unfortunately, and quite understandably, the neighborhood did not agree with my idea. In the end, I decided that having our wedding in my family’s backyard was more important than having a late night affair. We simply continued the party at the hotel where most guests were staying and didn’t upset any neighbors in the process. So, be sure to research and comply with the noise restrictions in your chosen wedding location because it’s usually 9:00 p.m. or 10:00 p.m. when the dance party must stop. Will you need any generators? Last, but not least, you’ll need to evaluate your electricity needs. Our reception was situated on the tennis court, which was far enough away from the main house that we had to bring in a couple of generators to “power up” the tent. Before you get the party started, make sure to check into your power needs. With backyard ceremonies and receptions being outside, you’ll need a place to power lighting, your DJ and any slideshows you may want to show during the ceremony and reception. While this is not an exhaustive list, bearing in mind these six important items should help you start deciding if a backyard wedding could be a possibility. Once you have decided, you can happily move on to tackle other wedding planning details. 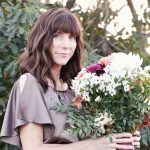 Owner and creative director of Fab You Bliss, the wedding inspiration source for anyone in love with dreamy, elegant, and ethereal wedding styles and ideas.